Do you love creepers? Do you wish you could show how much you love creepers without having to endure the tyranny of bright light sources? Well we're sympathetic our endearing creeper-fans. With a glow in the dark creeper face you can continue a campaign of creep-a-ffection and lights be damned! 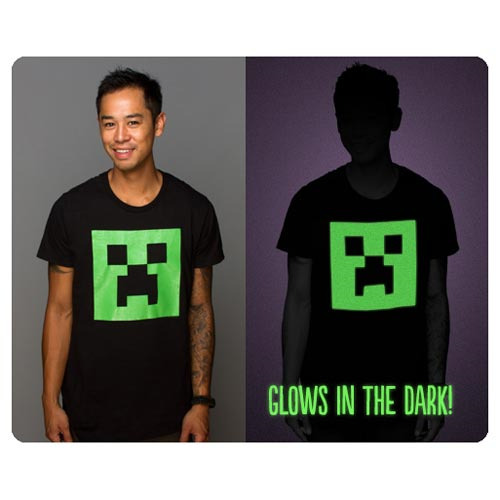 The Minecraft Creeper Glow-in-the-Dark Face Premium T-Shirt is made from 100% cotton.